In 2015–16, grain production (wheat, barley, canola, sorghum, oats, and lupins) was valued at $11.6 billion (LVP). The grains industry contributed 28 per cent of the total gross revenue from agriculture in that year, making it Australia’s largest plant industry. 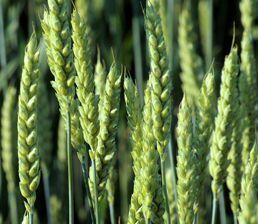 Wheat is the largest crop, accounting for more than half of total grains production. Australia also produces barley, canola and many varieties of pulse as well as summer crops. The majority of Australia’s grain is produced in the wheat belt, which stretches from central Queensland through NSW, Victoria, Tasmania, SA and southern WA. A large percentage of the grain produced in Australia is exported, with major markets in Asia and the Middle East including China, India, Indonesia, Iraq, Korea, Iran and Vietnam. Since 2007 Grain Producers Australia has funded a biosecurity outreach program to raise awareness and improve practices on-farm and boost preparedness for management of any biosecurity threats. 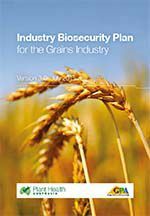 The grains industry is covered by version 3.0 of the biosecurity plan for grains, the Biosecurity Manual for Grain Producers Version 4.0, and the Farm Biosecurity Manual for the Organic Grains Industry Version 1.0. Biosecurity planning provides a mechanism for the grains industry, government and other relevant stakeholders to assess current biosecurity practices and future biosecurity needs. Planning identifies procedures that can be put in place to reduce the chance of pests reaching our borders or minimise the impact if a pest incursion occurs. 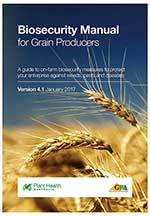 The Biosecurity Manual for Grain Producers contains information to help producers to implement biosecurity on-farm. Manuals usually contain an overview of biosecurity, fact sheets to identify the high priority pests of a crop, tips on crop management, and how to manage people, vehicles and equipment to minimise biosecurity risks. Manuals also contain a biosecurity self-assessment list, and templates to record pest surveillance records and visitors. 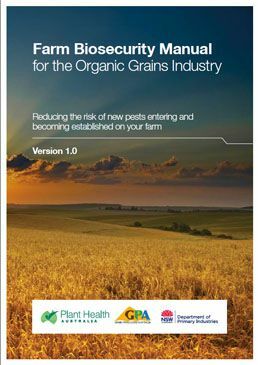 The Farm Biosecurity Manual for the Organic Grains Industry contains biosecurity information specifically for growers of organic grains. With zero market tolerance for live pests in grain, storage is no time to forget about biosecurity. 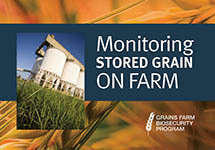 Working closely with grains storage specialists, the Monitoring stored grain on farm manual pulls together information from a number of other resources, complementing those already produced by the GRDC Grains Storage Projects. 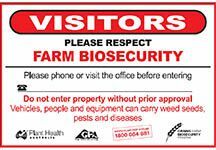 support your signage with other biosecurity measures such as restricted access points. 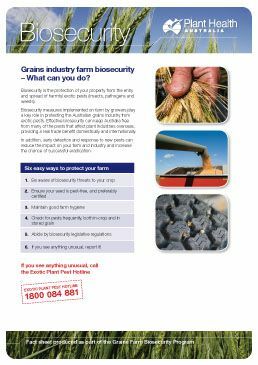 The grains industry and PHA have created some fact sheets to increase biosecurity awareness. 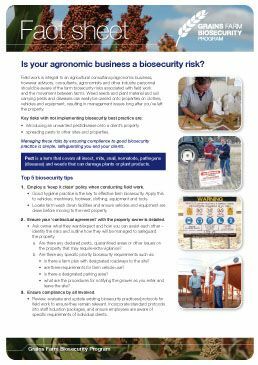 Is your agronomic business biosecurity risk? 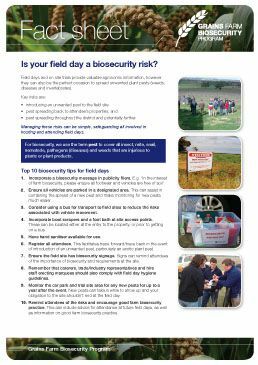 Is your field day a biosecurity risk? 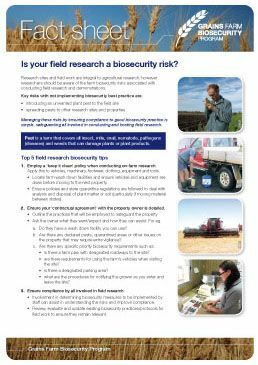 Is your field research a biosecurity risk? The following is a list of high priority exotic pests of grains and pulses. 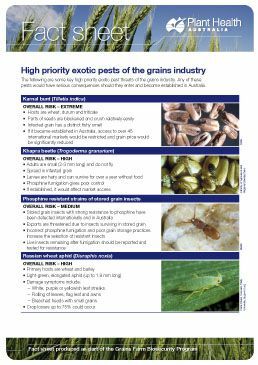 These pests were identified during the development of the Industry Biosecurity Plan for the Grains Industry in consultation with industry, government and scientists. They have been assessed as high priority pests based on their potential to enter, establish, and spread in Australia (eg environmental factors, host range, vectors) and the cost to industry of control measures. The following is a list of documents for other exotic and endemic pests of grains and pulses. Please note that this is not a complete list of pests: rather it includes pests for which documents exist in the Pest Information Document Database. Some of the documents presented here are not tailored to grains and pulses and are included for information only.